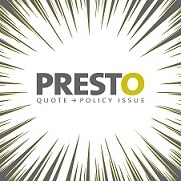 Do you know how many products are on PRESTO? Probably not….don’t get left behind, sign up and see for yourself! Now over 20 products for you to obtain instant quotes and policy documents! Login to Presto today. It will take less time to obtain a quote than it took to read that list! Visit www.premiergroup.ca for product details and forms.